sabinekrieger@hotmail.com | Get Krieger Fit! Raw Food Recipes – Tacos with Rice and Nacho Sauce, Sweet Potato Salad, Raw Pecan Pie, Raw Almond Chocolate Goji Berry Protein Fudge, Goji Berry Tahini Truffles etc. Mash together, add 3 avocado pits to prevent browning. Mix well, cover, and chill before serving. Place all ingredients in Vitamix or other powerful blender and process until creamy. Pour over salad and serve immediately. For a savory flavor, add 1 garlic clove, peeled and minced. Into bowl add little water, ½ cup pecans, 2 tbs raw honey, pinch of salt and stir. Put glazed pecans over pie and chill. Add coconut oil, chocolate butter and melt over very low heat (no more than 110 F), add raw cacao powder ans stir until smooth. Next add nut butter (or almond meal) and vanilla, stir until smooth and add all other ingredients. Mix well and keep in mind that fudge will get harder in fridge. Spread the mixture in a lined pan and transfer to the fridge and v=chill for 2 hours. Cut into squares and store in fridge. Enjoy those healthy yummy treats. Add coconut cream or oil and chocolate and melt over very low heat. Add nut butter (or almond meal), vanilla stir until smooth and add all other ingredients. 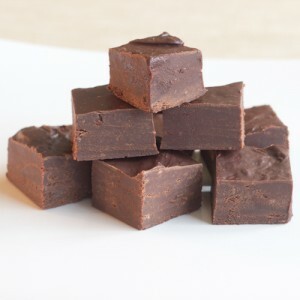 Mix well and keep in mind that fudge will get harder in fridge. Spread the mixture in a lined pan and transfer to the fridge and v=chill for 2 hours. Cut into squares and store in fridge. Enjoy those healthy yummy treats. 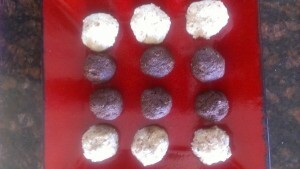 Option: raw coconut flakes or hemp seeds to roll the truffles. Process until you have a soft pliable dough. Take about 11/2 ts of dough and add 3 dried goji berries and form a ball and roll in coconut flakes, hemp seeds or chopped nuts. Place macadamias along with dates and their soak water into blender and blend until smooth. Add avocado, honey, vanilla, cinnamon, nutmeg, ginger, salt and pumpkin and blend until very smooth. Add psyllium and blend well. Let this mixture sit for 1-2 minutes and blend well again. This entry was posted in Nutrition and Research on December 10, 2015 by sabinekrieger@hotmail.com. This entry was posted in Nutrition and Research on October 17, 2015 by sabinekrieger@hotmail.com. 1. Avoid carbs and insulin. Because consuming carbohydrates will result in a significant insulin release (which will in turn put the breaks on fat-burning), carbs are ill-advised for a pre-bed meal. Carbs are also much more easily stored as fat in the evening hours when metabolism is naturally slowing in preparation for sleep. Besides, you have very little opportunity to burn off that energy when consuming carbs at night — sleep isn’t a very calorically expensive activity! In addition to carbs, certain animal proteins have been shown to yield a significant insulin response as well, such as red meat and certain fish. While these protein foods are OK for a pre-bed meal, there are better choices, like those mentioned below. 2. Choose slow digesting proteins. Slow digesting proteins, like white meat proteins such as turkey and chicken, are great night-time meal choices as they digest slowly and fail to produce a significant insulin response. Another great choice is the milk protein casein, found in our premium protein blend, BioTrust Low Carb, and also in cottage cheese. Casein coats the stomach, digests slowly, and provides quality nutrition to your muscles over several hours…very ideal as a pre-bedtime protein source! 3. Add fat. Quality, healthy fats such as nuts, oils, and nut butters are great additions to a pre-bedtime meal as they will help to further slow gastric emptying and digestion while increasing fullness and satiety so you don’t wind up snacking all night long. Just follow these 3 simple rules for night-time snacking (slow digesting protein, low carb, add fat) and you’ll be snacking good while losing belly flab.. This entry was posted in Nutrition and Research on August 3, 2015 by sabinekrieger@hotmail.com. Fiber is associated with reducing inflammation, lowering cholesterol and regulating bowel function. Chia seeds are an excellent source of fiber, with a whopping 10 grams in only 2 tablespoons. 7. Add chia seeds to beaten egg, soak for 10 min and make omelette. 8. Make Crackers – Make thin batter of chia seeds and milk and cook in slow oven or dehydrator to make crackers, you may want to add cinnamon, or vanilla stevia for sweet crakers or salt and herbs for salty crackers. 10. Make Healthy Pudding – Add ½ cup of chia seeds to 11/2 cups of almond or milk of your choice. You can add cinnamon, stevia or any other natural stevia. 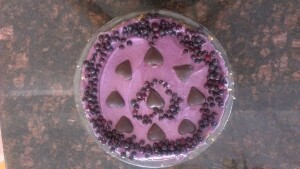 Can be served with fresh fruit. 11. Add to smoothies – I love to add chia seeds to my smoothies, it makes them richer and thicker and the smoothie will keep me full longer. By slowing your movements down, you’re actually turning them into high intensity exercise. The super-slow movement allows your muscle, at the microscopic level, to access the maximum number of cross-bridges between the protein filaments that produce movement in the muscle. You can perform the super-slow technique with many of the strength training exercises, such as hand weights, resistance machines, bodyweight exercises, or resistance bands. You only need about 12 to 15 minutes of super-slow strength training once a week to achieve the same HGH production as you would from 20 minutes of sprints on the bike, treadmill, or bike. The key to making this work for you is intensity, which needs to be high enough that you reach muscle fatigue. If you’ve selected the appropriate weight for your strength and fitness level, your goal is to have enough weight that you cannot do more than 12 reps but at least 6 repetitions. As a guideline, when you start out, allow your body at least two days to rest, recover and repair between high-intensity sessions, and do not exercise the same muscle groups each time. It is recommend using four or five basic compound movements for your super-slow (high intensity) exercise set. Compound movements are movements that require the coordination of several muscle groups—for example, squats, chest presses, pull downs, push press, and rows. Begin by lifting the weight as slowly and gradually as you can. One version is to do a four-second positive and a four-second negative, meaning it takes four seconds to bring the weight up, and another four seconds to lower it. Immediately switch to the next exercise for the next target muscle group. This entry was posted in Exercise on August 3, 2015 by sabinekrieger@hotmail.com. Living in USA, we are exposed to high fructose corn syrup everywhere. Why do all soft drinks, most cereals, breads, cookies, cakes, ice cream the list goes on… contain so much high fructose corn syrup instead of sugar? It is cheaper and companies make more money but what effect has so much concentrated high fructose corn syrup on the body? The medical profession has overlooked some major pathological effects of fructose consumption and its effects on liver function. Regardless of whether or not a person gains weight from it, consuming fructose was recently shown by researchers from Wake Forest Baptist Medical Center in North Carolina to cause hepatic steatosis, a non-alcoholic form of fatty liver disease that in some patients can lead to cirrhosis. Published in the American Journal of Clinical Nutrition (AJCN), their study found that, by itself, fructose can trigger rapid liver damage even when all other factors remain equal. In other words, a relatively skinny person can sustain extensive liver damage from fructose consumption, even if he or she doesn’t become obese from it. Fructose consumers also have an exceptional propensity toward developing diabetes, according to the data. In one study, scientists gave two groups of monkeys an all-you-can-eat buffet for seven years. The target group was given access to low-fat foods with added fructose, while the control group was given access only to low-fat, low-fructose foods. All other factors remained equal, and the animals were given equal access to whatever quantities of food they desired. During the evaluative period, monkeys in the fructose group were observed to gain about 50 percent more weight than the control group. They also developed diabetes at three times the rate of the control group as well as severe cases of hepatic steatosis that were clearly unique to fructose consumption. In order to verify that fructose itself, and not some combination of fructose and weight gain, was responsible for the high rates of liver damage, the researchers took 10 middle-aged, normal-weight monkeys who had never before consumed fructose and divided them into two comparable groups. For a course of six weeks, one group was fed a calorie-controlled diet containing 24 percent fructose while the other group was fed a calorie-controlled diet containing a negligible amount of fructose, or about 0.5 percent. Both groups were given an equal amount of fat, carbohydrates and protein, but from varying sources. What they found is that not only did fructose directly harm the monkeys’ livers, but it also altered the bacterial composition of their guts. In essence, fructose was found to cause intestinal microflora to leak from the intestines, enter the bloodstream and damage the liver — and at a rate of up to 30 percent higher compared to the monkeys that consumed almost no fructose. In order to avoid high fructose consumption start reading labels, avoid any foods which contain high fructose corn syrup or fructose and trust me its in almost all processed foods. Try cooking from scratch and if you need to use a sweetener try using raw honey, coconut sugar, stevia, erythritol, or xylitol. This entry was posted in Nutrition and Research on August 18, 2014 by sabinekrieger@hotmail.com. 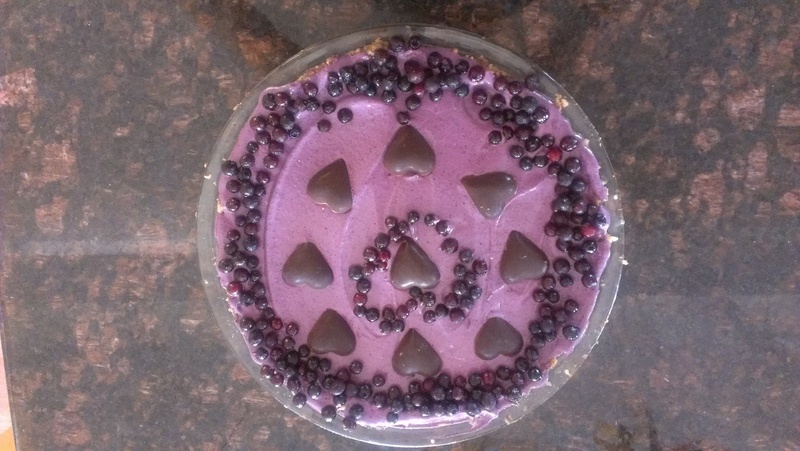 We have made this dairyless cheesecake with blueberries, but I see no reason you couldn’t make it using strawberries, or raspberries, or mango, or possibly some other fruit. Place all crust ingredients except coconut in food processor with “S” blade and process until crumbly. Sprinkle coconut onto the base of a spring form pan, pie plate, or 8×8 square Pyrex (coconut keeps dough from sticking). Press mix evenly into pan to form a crust. Place all filling ingredients in a powerful blender like a Vita-Mix (Most regular blenders won’t be able to process this filling. You could use a food processor, but it won’t make it as creamy.) Blend until smooth and creamy. Pour onto crust, tapping to remove bubbles, and make sure pie plate is filled evenly. Cover and place in freezer until firm. When firm, if using a spring-form pan, remove and place on a serving plate before cutting slices and return leftover to freezer. 1 can of extra thick coconut cream (I use trader Joes 13.5 oz), ½ cup of sugar (I like to use coconut Sugar), ¼ coconut oil, 2 (12 oz) packages of semisweet chocolate chips. I used peanut butter, raw cashews, and raw honey and a little of water and made it creamy in Vitamix. First you need to make Cashew Milk: in a blender, put 1 cup of soaked cashews and 3 cups of water, add a good ts of vanilla extract, a pinch of salt. Blend and then pour in a sieve over a bowl so you can get the milk. Set aside. 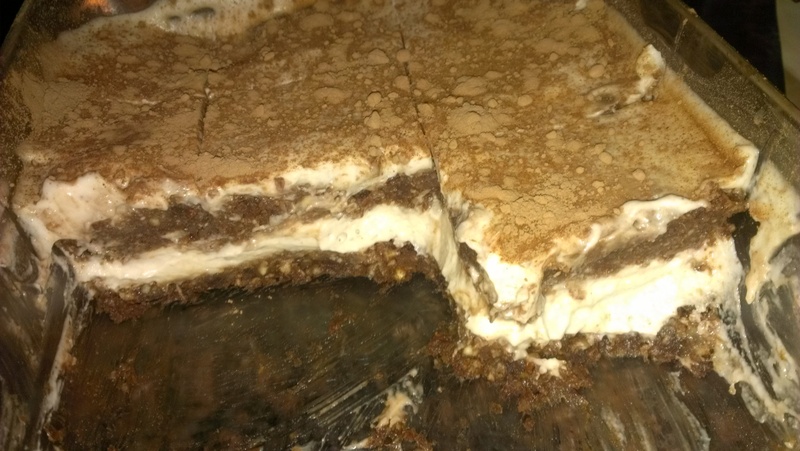 Then you need to make the cake, and you will need to use your food processor for this: put 1/2 cup of soaked dates, 1 cup of soaked cashews and 1.5 cup of soaked almonds, 1 Ts of coconut oil, 2Ts Raw cacao powder and 1Ts carob powder, 2 Ts maple syrup (it’s not raw but together with the carob powder it gives a little bit of a coffee taste, I used some organic instant coffee), 1 ts vanilla. Process until it forms a sticky paste. Then, make the cream! In the Blender, pour 2 cups of cashew milk and 1 cup of coconut meat. As I didn’t have a real coconut, I soaked shredded coconut in water for about 1 hour and that was my coconut meat! I also add about 1 cup of soaked cashews, 1 Ts of raw honey and 1Ts coconut oil. As an option, depending on how firm you want the cream, you can add some husk or lecithin to the mixture. Blend and set aside. Finally you need to make layers in a cake pan: put one layer of cake… top it with one layer of cream. Put in the freezer until it’s hard. Then you can spread another layer of cake followed by the rest of the cream. Put a bit of cacao powder or carob powder on top and put the whole in your fridge for 2 hours or so (until the 2 bottom layers soften).